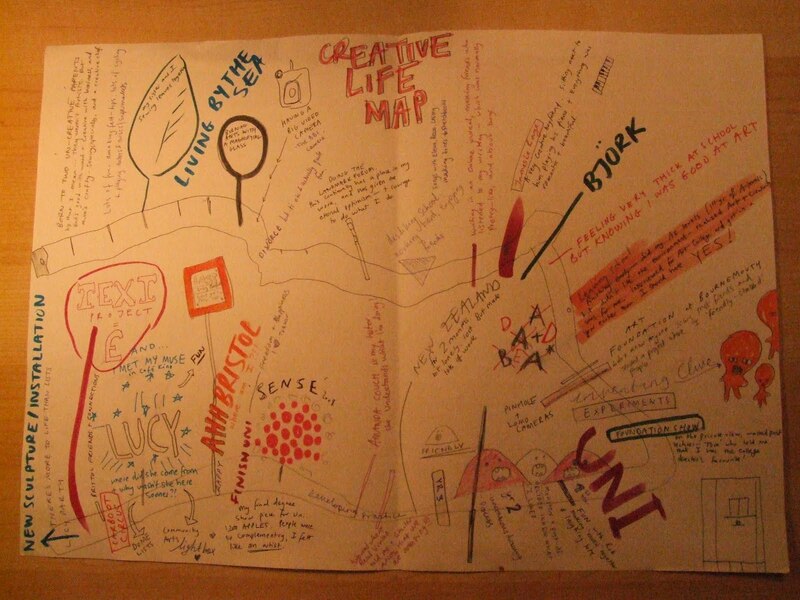 As instructed by the inspiration that is Lucy Duggan, I made this Creative Life Map a few months ago. It was quite a good experience to look at what has really made you the person you are now, in terms of creativity anyway. Click on it! I shall scan this at some point so it’s more readable.